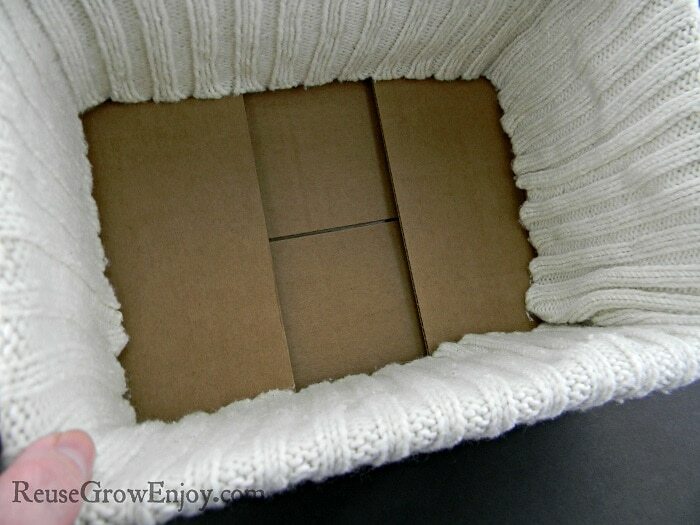 Have you ever seen a sweater box in the stores, and wanted to get one, but the price was too high? Well, I am going to show you how you can make one on your own. Don’t worry, you do not need to be super crafty for this one. It is really easy to do! Lets start with the supplies you will need. 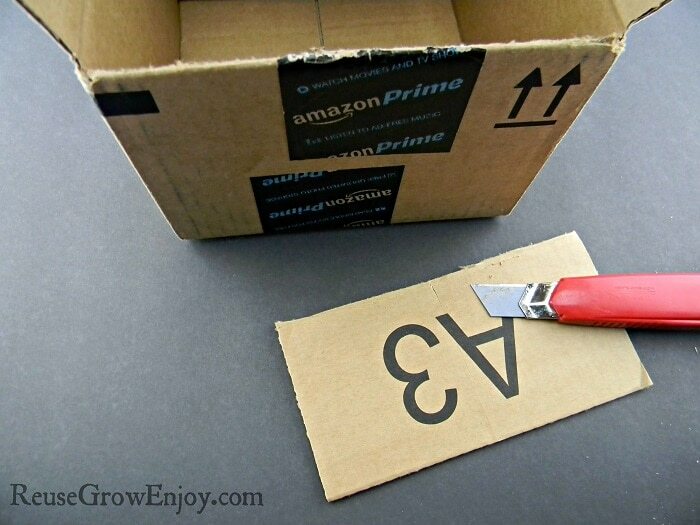 The first thing you want to do is use your box cutter to cut all four of the top flaps of the box off. You can put them away to use on another craft, in your compost or recycle them. 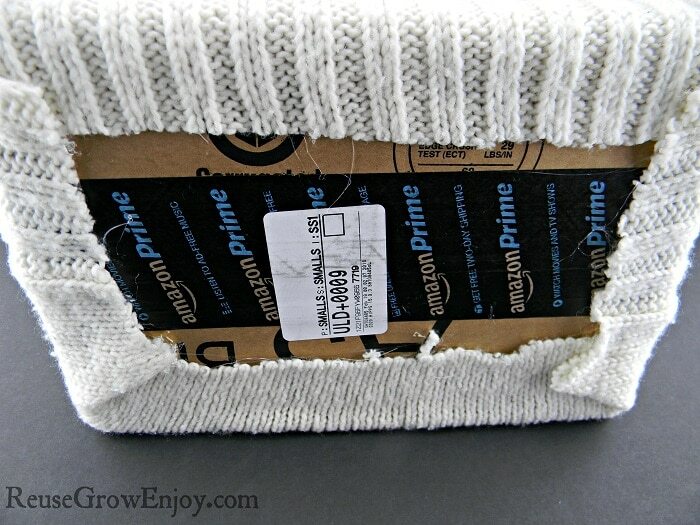 Next you want to place the box inside the sweater. 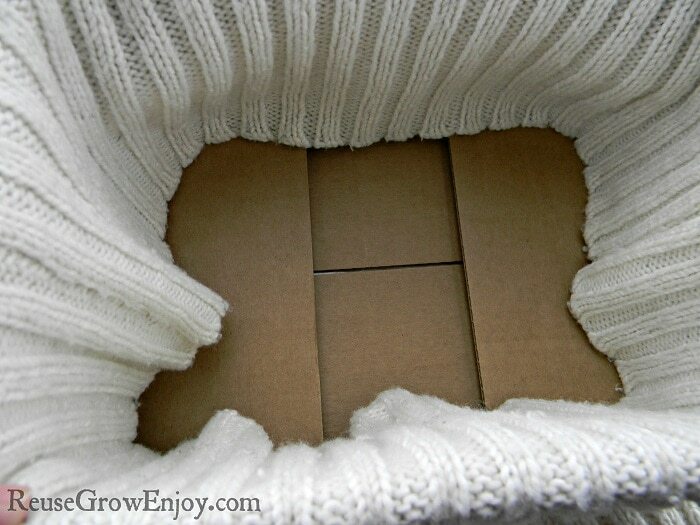 Put it in from the bottom of the sweater, and as far in as you need to flap it over, to cover the inside walls of the box. 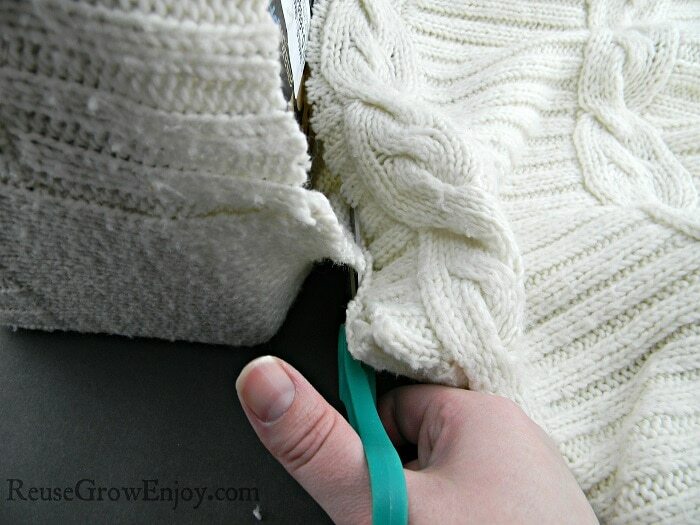 Now you want to cut the extra part of the sweater off with your scissors. 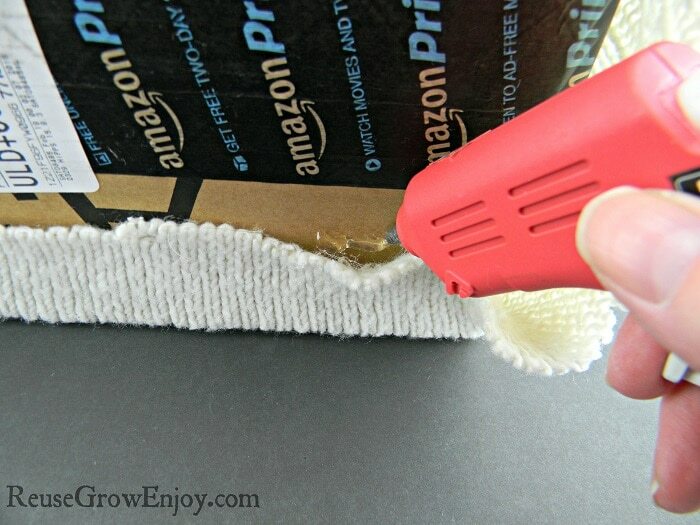 Be sure you leave about an inch or so, to be able to fold over and glue to the bottom of the box. Then using the hot glue, glue all four sides to the bottom of the box. 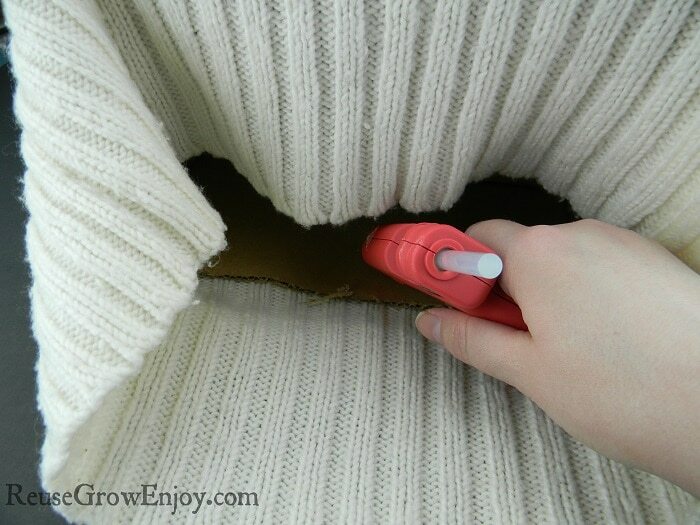 At the corners, you will need to use some hot glue to flap the sweater over itself. Try to make sure that it is pretty even all the way around, so that the box will lay flat when set up right. Now flip the sweater box over. You are going to glue down the flaps on the inside. After you have the sweater all glued on the bottom and on the inside, we need to use some school glue to keep the edge from fringing. Flip the box over, so you are looking at the bottom. 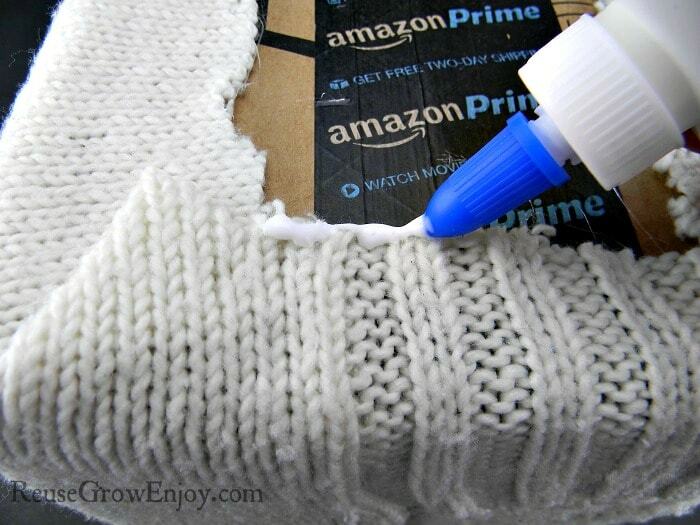 Take the school glue and go all the way around the edge of the cut sweater. Allow it to fully dry before flipping box back over to use. That is it! 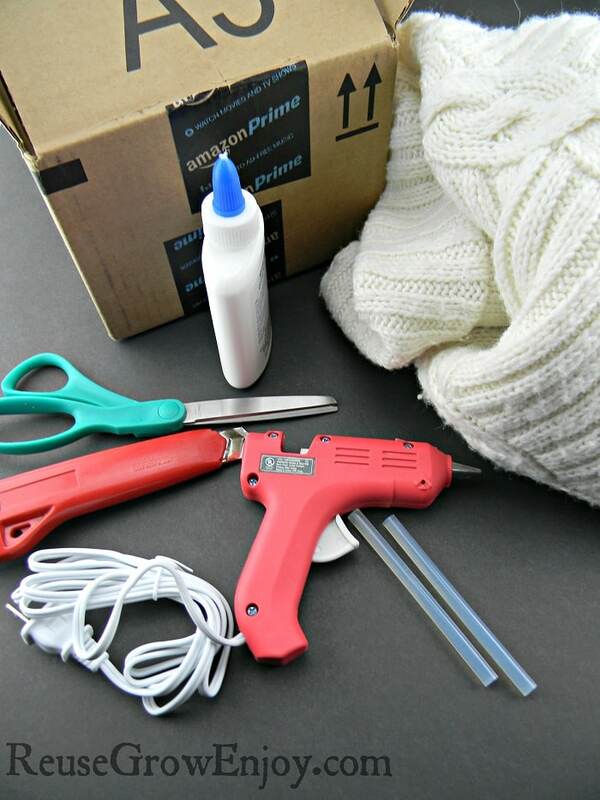 You just did a DIY sweater box! Easy right!? I left my bottom of the box and inside bottom of the box exposed, as you do not see either side when in use. If you do not like that unfinished look, you can simply glue a flat piece of fabric over them. Now you have a pretty sweater box that you can use to place things in, and have it looking stylish at the same time. 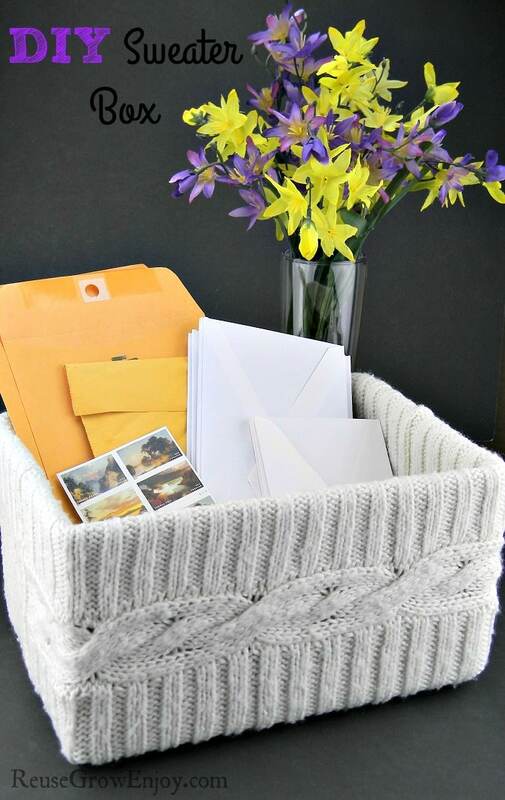 It can really be used to hold anything from mailing supplies, chargers, magazines and so on. 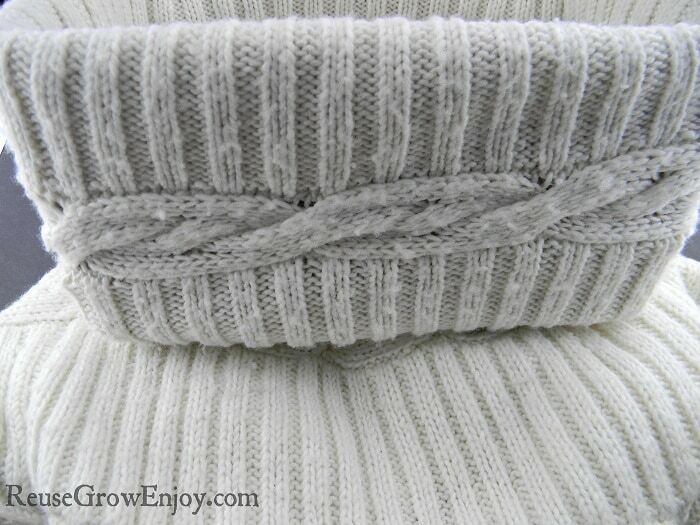 If you like this DIY, you should also check out my DIY Sweater Pillow. This is so super awesome. I haven’t found a project in quite a while that made me get my supplies out and dig out that awesome deep-purple sweater I’ve been saving for something creative like this. Tonight when my three kids are asleep, I will be crafting <3 Thank you thank you thank you for your time, energy and post. You Rock. So happy to hear that Sarah! Be sure to let us know how it turns out. Happy crafting! 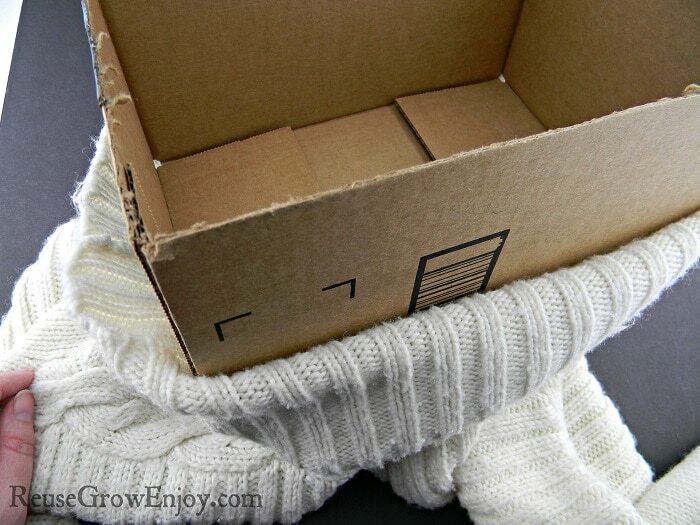 I have some favorite old sweaters that will look great on a storage box and will help me organize my crafts. Thank you for sharing this idea, Can’t wait to try it. You are so welcome. Happy crafting!